Welcome to the inaugural episode of the Reading Interview Series, where I chat with bookworms, avid readers and learners, to unpack their reading habits and philosophy. My first guest is Justin Kim. 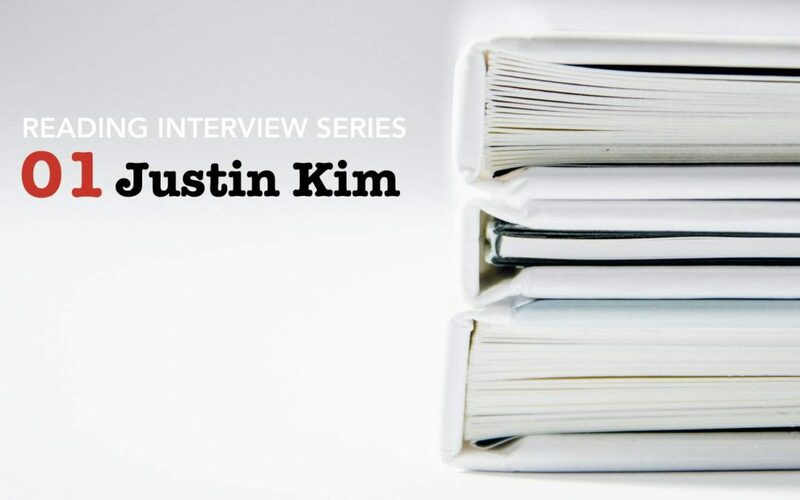 Justin Kim is a public speaker and minister for the Seventh-day Adventist Church. His official title is Assistant Director of Sabbath School and Personal Ministries at the General Conference of Seventh-day Adventist Church, as well as the Editor of Collegiate Quarterly, a religious publication for young adults. He graduated from a Roman Catholic high school, a Jewish-sponsored university, and has dialogued with many denominations. In this conversation, we talked about how he digests books, how he uses audiobooks, reading in first and second languages, parenting and reading, reading for students and graduate students, how he finds time to read, using emotion as a tool for learning, and much more. I enjoyed it tremendously and I hope you will too.